Every man needs a belt in his wardrobe. Not only does it serve an important function (holding up your pants), but they also add maturity to a man’s look. Honestly, a man with a belt looks far more composed than a man without one. We believe that every man should have at least one in their closet. But how do you know which one to pick? Which color? Which material? What brand? We’ve outlined a few of the best men’s belts to point you in the right direction. 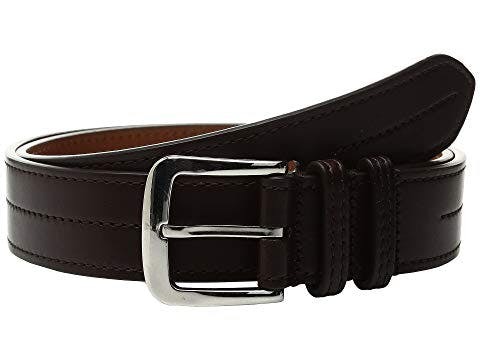 Probably the best innovation in belt technology is the switch from brown to black. If you are looking for something sleek, modern, and two-toned, this is your best bet. 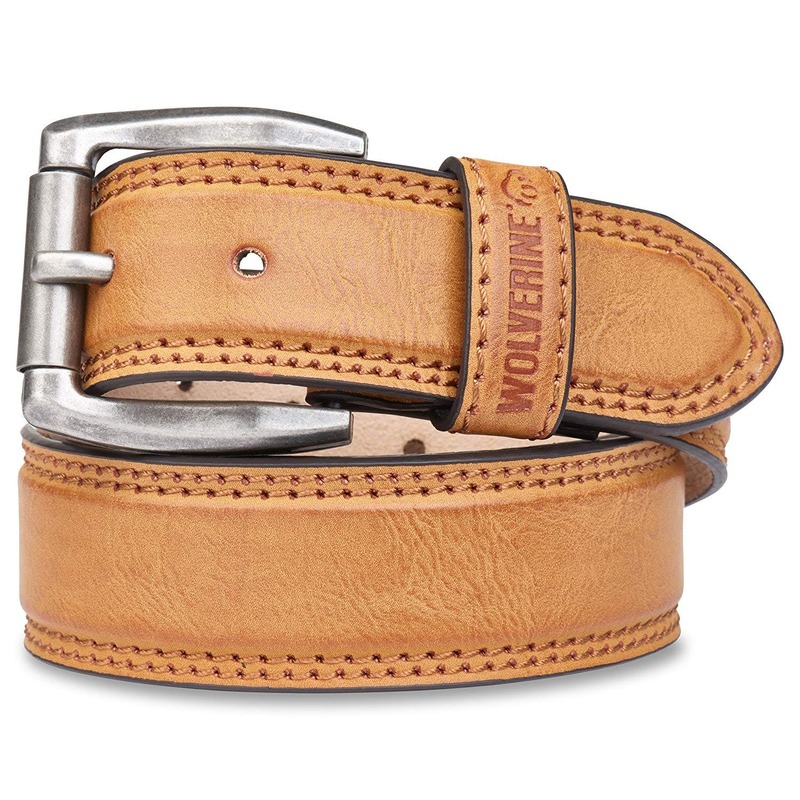 Wolverine makes some of the sturdiest, most durable belts on the market. And they look great, too! Everyone from construction workers to businessmen love the way Wolverine belts hold their pants up. It’s available in several different colors, so you’ll always find one that matches your outfit. Plus, it’s only $11! When it comes to high-quality leather belts, that’s a price that’s hard to beat. Monochrome belts are a hot commodity these days. It seems that people may have grown tired of contrasting colorways and gravitate toward one-toned belts instead. 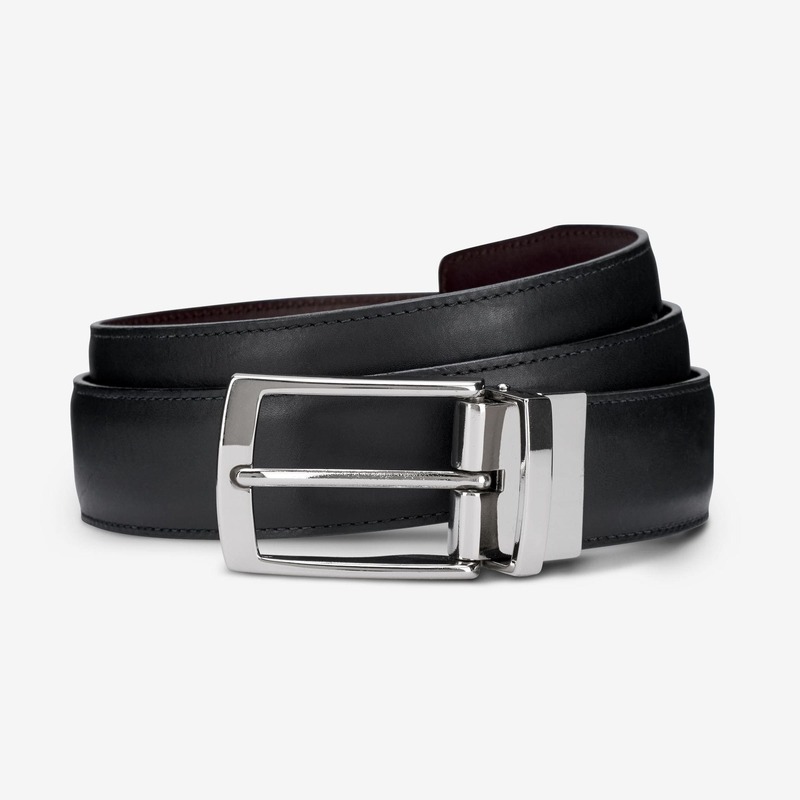 This leather belt by ALLSAINTS embodies everything we love about monochrome belts. Its burnished leather and matte-finished buckle give it a stylish and elegant look. It’s also available in two colors (black and brown). We recommend you buy one of each so you have a belt to match every outfit! 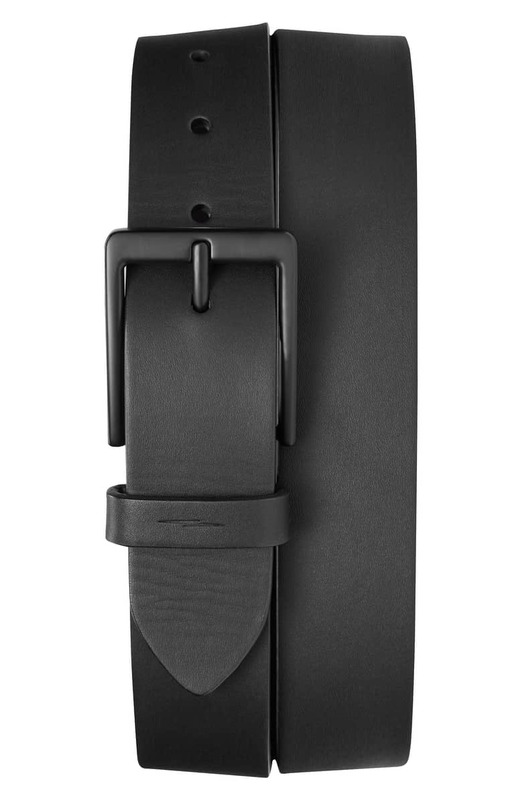 Shinola’s monochrome belt is a smooth, stylish contribution to the accessories market. 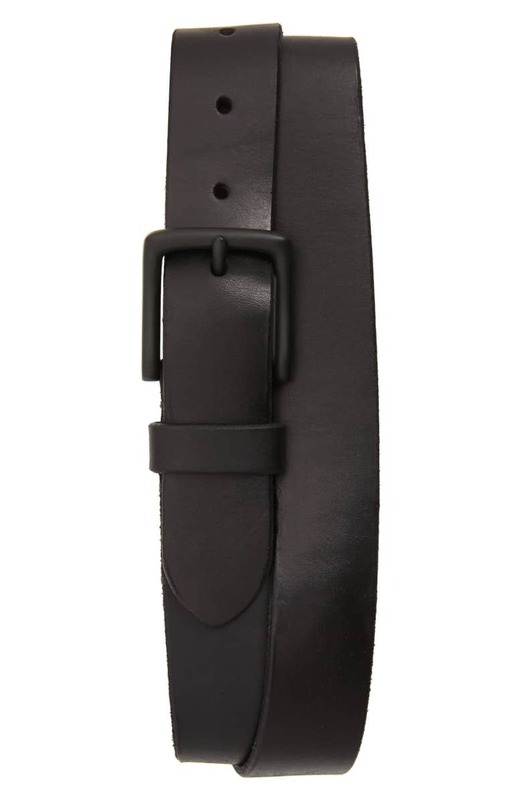 At 2 1/4″ in width with a 1 3/4″ buckle, this belt is slightly slimmer than typical belts. It’s perfect for anyone who wants to add a subtly stylish accessory to their wardrobe. Based in Detroit, Shinola is a newer company that’s been making some amazing products lately. They source all of their materials in the United States and are quickly building a name as a top-of-the-line manufacturer. If you’re looking for a leather belt that exudes luxury and style, look no further than Allen Edmonds’ collection. This company produces some of the finest belts in the fashion landscape. This belt features a finished silver buckle and feathered edges that should appeal to anyone who cares about what they look like. It’s reversible, too. With one black side and one brown side, it’ll match your outfit no matter what color you’re wearing! Do you prefer a more Western look? 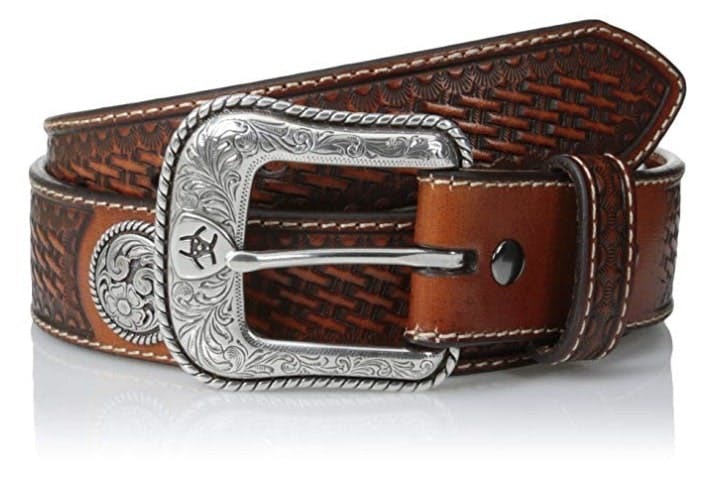 Seeking a belt that looks good with your cowboy shirt and bolo tie? This leather Ariat belt could be perfect for you! It comes in a rich, brown color and features embossed conchos. The leather is easy to clean by hand, making it great for any man who spends their days working on the ranch. Ariat is traditionally known for its boots. But, they could have a bright future in the accessories market if they continue to make high-quality items like this! Brig’s patented Slidebelt is making waves in the accessory industry. Well, this canvas belt features a uniquely-designed buckle that prevents tearing and ripping. It’s hole-free, too, so you can adjust it in 1/4″ increments to get the perfect fit. Furthermore, the Slidebelt is customizable in that you can choose any combination of strap and buckle. In other words, it’s a great belt for those seeking the perfect colorway to match their style! 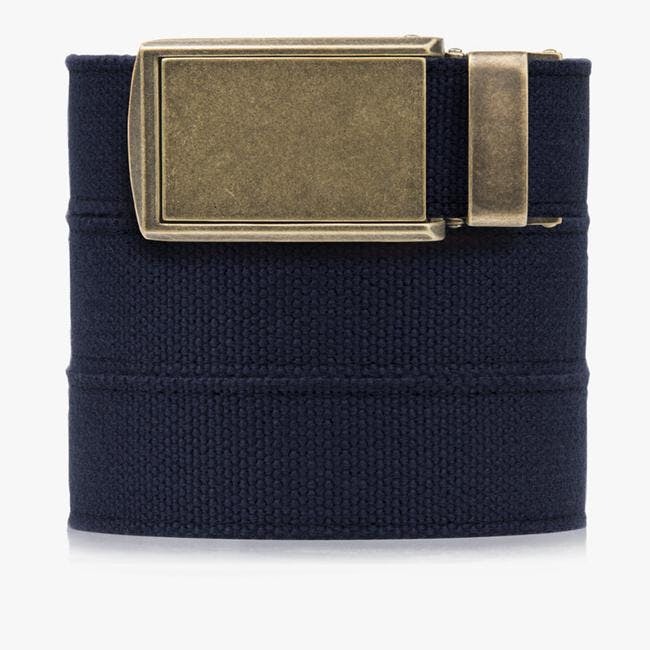 Another Shinola belt, this one is perfect for the casual wearer. It’s made of authentic leather and features a stainless steel buckle that looks just as good with dress pants as it does with jeans. This belt’s best feature is its namesake center-stitch design. Basically, it features a seam down the middle of it that gives it a reinforced structure in addition to a unique style. Webbed belts have the advantage of being stronger and more durable than traditional belts. Because they’re made from interwoven material, they tend to withstand much more activity than other styles. 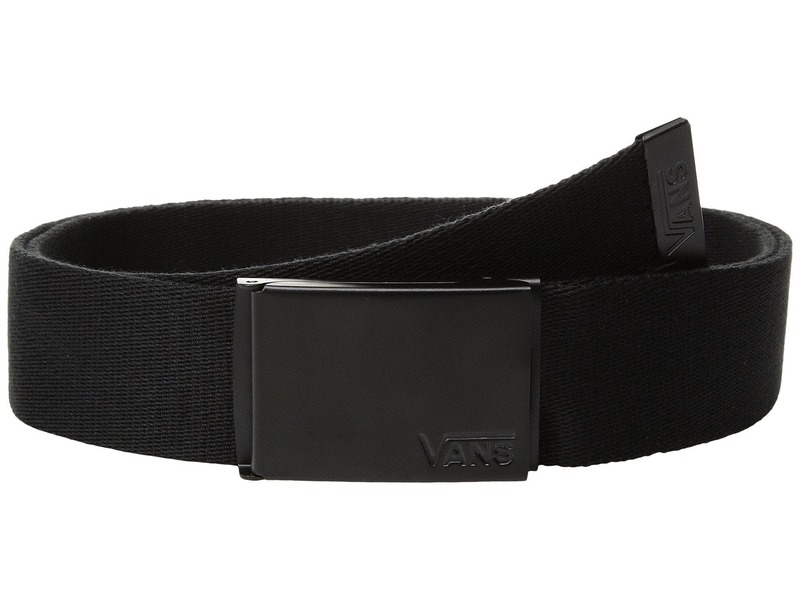 This Vans model is one of our favorite webbed belts. Made from woven polyester, it features a metal snap buckle that won’t give up. If you’re looking for a belt that’s built to last, this could be the perfect one for you! For more than half a century, Nike has produced affordable and high-quality athletic products. Their belts are no exception. 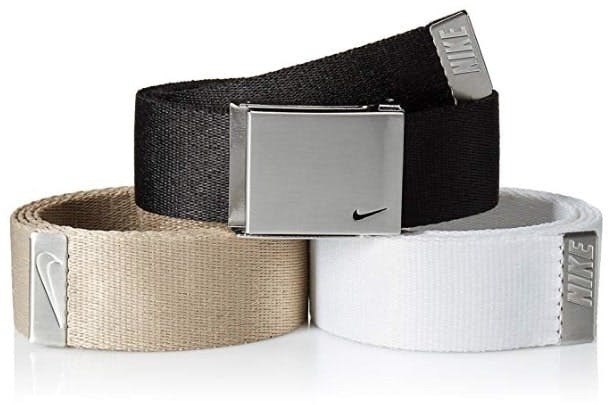 These polyester webbed belts are designed specifically for the golf course. Both sturdy and flexible, they’re perfect for golfers who need a belt that gives them the freedom to move. And, they’re relatively inexpensive. For only 30 bucks, you get three different belts, each in a different color! Over the past century, Gucci has worked hard to establish themselves as one of the finest clothing retailers in the entire world. Crafting unique designs from high-quality materials, Gucci has certainly earned its reputation. This belt is one of our favorite accessories from the clothing line. 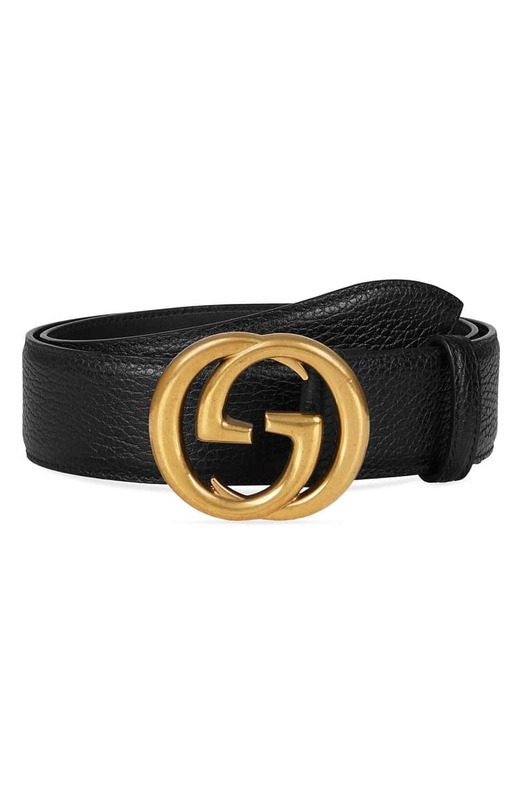 Made from grained calfskin leather and featuring the trademark G as its buckle, it embodies everything that the brand has come to stand for.